Many of these pressures affect the physical and chemical properties of freshwater systems. Changes in water temperature, permafrost, ice cover extent and duration, hydrological processes and water balance can have unexpected and unpredictable effects on freshwater biodiversity and related ecosystem services that many Northern communities rely on for food, clean water, and economic livelihood. Exactly how these pressures - alone and in combination - affect freshwater species and ecosystems is unknown because the Arctic's complexity and size make it difficult to detect and attribute changes. In addition, existing freshwater monitoring efforts are often uncoordinated, limiting the ability to efficiently make effective management decisions, despite increasing urgency and pressure to act. The Circumpolar Biodiversity Monitoring Program (CBMP) is working with partners across the Arctic to harmonize and enhance long-term freshwater monitoring efforts. These efforts are led by a Freshwater Ecosystem Monitoring Group (FEMG). 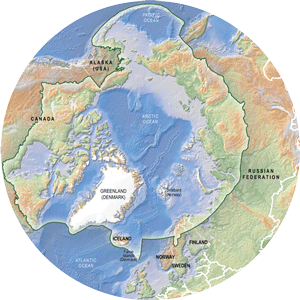 The FEMG has developed an Arctic Freshwater Biodiversity Monitoring Plan to guide these efforts.